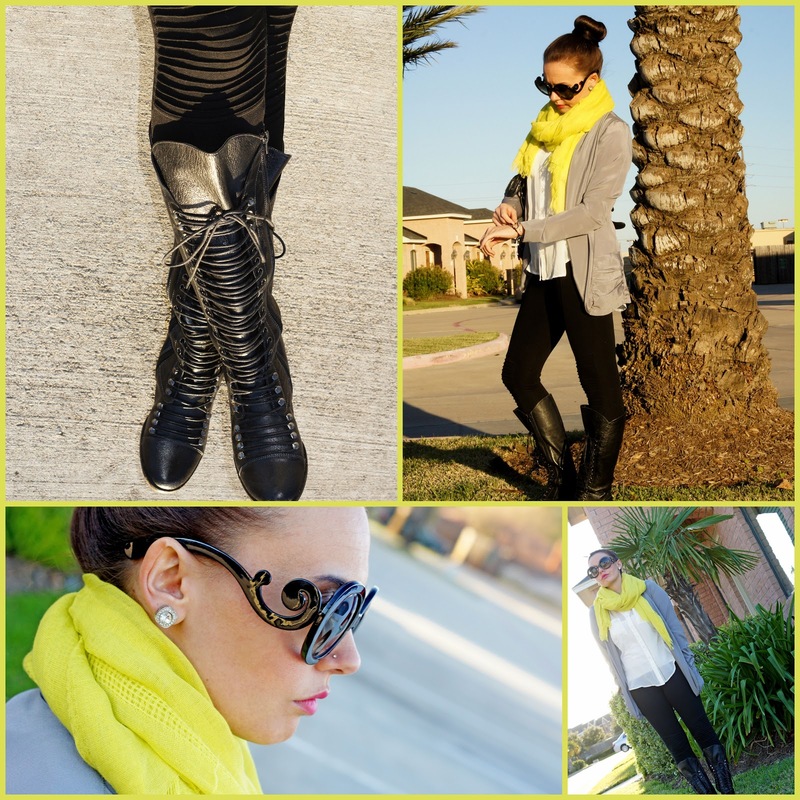 Candice Marie's Closet: Splash of Color. The weather has been a little crazy this past week in Houston. It has been warm, but then some days it has been deceiving where you think it's hot and sunny and yet it's chilly. This outfit is the perfect put together look for most occasions. I am wearing a thin sheer top and blazer which works with the iffy climate. I am all about the neon's. Loving the green/ yellow tone to add a pop of color to black and white. I bought these glasses back in the fall during the Shecky's Beauty Night Out in downtown Houston. They are the Prada Baroque knockoff glasses that many celebs have been seen in including Kourtney Kardashian. 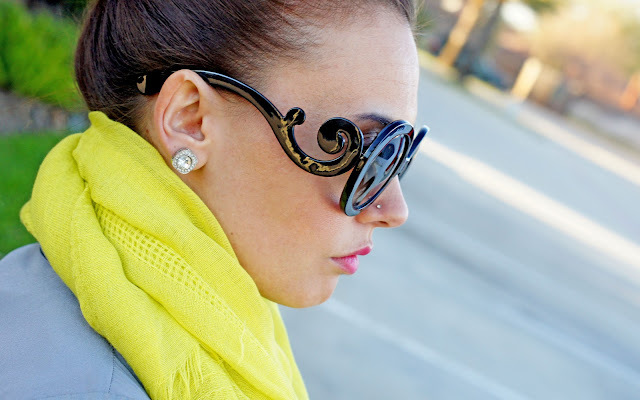 Sunnies: I spent $25 on mine from a boutique, you can find a similar less expensive replica here.